Handwoven check with a hand print embroidered panel. 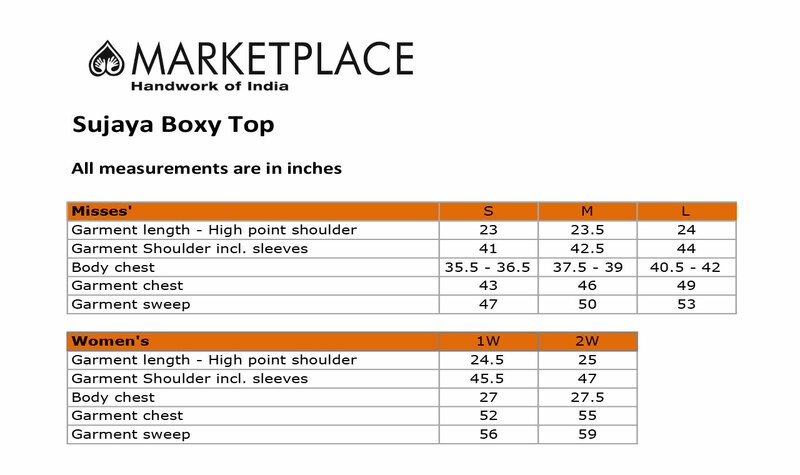 Pop-over boxy top with scoop neck. Pull on for instant style. Love it. Makes me feel happy and different from the Florida crowd.